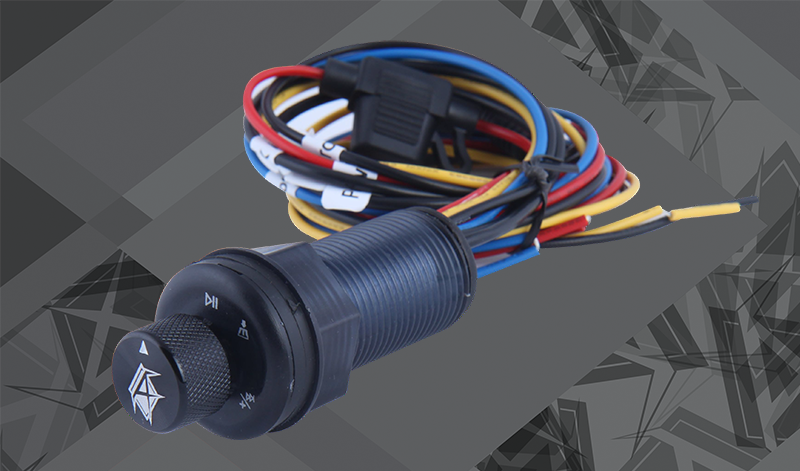 You have one of the most versatile and hardest working crew SxS's available...now get one of the most versatile and loudest stereo tops designed specifically for it! Check out the AudioFormz roof top stereo system for the 2014- current Kawasaki Mule PRO-FXT! 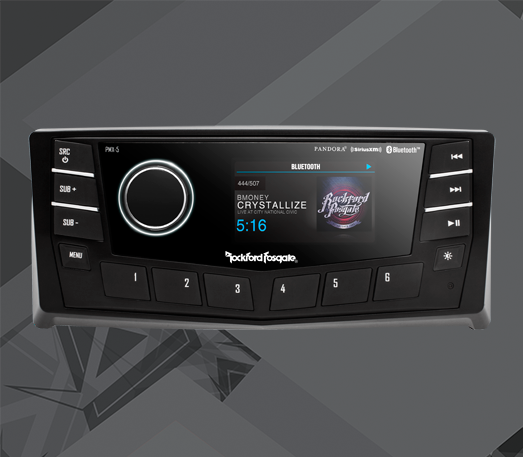 Manufactured from solid hand-laid molded fiberglass, it is one of the lightest yet strongest stereo tops on the market today! But wait, it gets better! Our Mule PRO-FXT stereo top has some very unique features that no other stereo tops have on the market today! Need to fully extend and tilt the bed? Not a problem with our stereo top installed! Like it real loud?? Then upgrade to our larger or 8" EVO speakers! Want it even louder?? Upgrade to our 8" Kevlar EVOPRO speakers for an additional 3 to 4 db gain! Want it even LOUDER?? Add our ultra efficient, high power flush mount digital amps with built in volt gauges that monitor your battery and system voltage! Need more lighting?? We offer numerous front, rear and interior LED lighting packages using our proprietary flush mount, ultra efficient LED lights! Want bluetooth?? We offer bluetooth media players and controllers to wireless stream your music from your phone to your radio or try our own compact AF-BTR7 bluetooth volume controller! And if that isn't enough, our top installs in 30 minutes or less with the supplied mounting hardware and a simple two wire hookup! This is your stereo top...build it like you want it and remember nothing performs like AudioFormz! Strong enough to walk or haul gear on top of roof to load feeders, etc. LEVEL 1 - Top, Sony BT Radio, 4-Audioformz Evo 6.5" speakers, 6-Front 10W Round LED lights, 1-Rear 10W Round LED light. LEVEL 2 - Top, Rockford PMX-2 BT Radio, 4-Audioformz Evo 8" RGB speakers, RGB remote, 6-Front 20W Square LED lights, 1-Rear 20W LED light. LEVEL 3 - Top, Rockford PMX-2 BT Radio, 4-Audioformz Evo 8" RGB speakers with RGB light rings, RGB remote, Audioformz 600W flush mount amplifier with battery volt meter, 6-Front 20W square LED lights, 1-Rear 20W LED light. LEVEL 4 - Top, Rockford PMX2 BT Radio, Aux-in, 4-Audioformz Evo 8" RGB speakers with RGB light rings, Audioformz 600W flush mount amplifier with battery volt meter, 8-Front 20W square LED lights, 2-Side 20W square LED lights, 1-Rear 20W square LED light. LEVEL 5 - Premium Top, Rockford PMX-3 BT Radio, Aux-in, 8-Audioformz Evo 8" RGB speakers with RGB light rings, RGB remote, Audioformz 600W flush mount amplifier with battery volt meter, 8-Front 20W square LED lights, 2-Side 20W square LED lights and 1-Rear 20W square LED light. Sony DSX-M55BT marine bluetooth media player with FM tuner and remote control. No subwoofer out. Radio cover required. 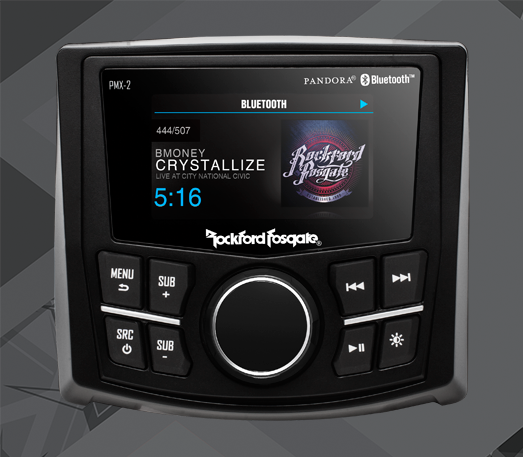 Rockford Fosgate PMX- marine bluetooth full size media player with FM tuner and dual zone capability. Subwoofer out with separate volume control. No remote control. No radio cover required. Sirius XM ready. Audio Formz, Inc. is not affiliated with or in any way associated with Kawasaki or any other person, entity, product or organization. Reference in this web site to any specific commercial product, process, or service, or the use of any trade, firm or corporation name is for the information and convenience of the public, and does not constitute endorsement or recommendation by Audio Formz, Inc.